For the last 2 months since returning to Sydney, I have been working in the marketing team at HSBC Australia. As part of the role I get to work very closely with JWT, an agency that I have been quite impressed by, in particular their account management team. 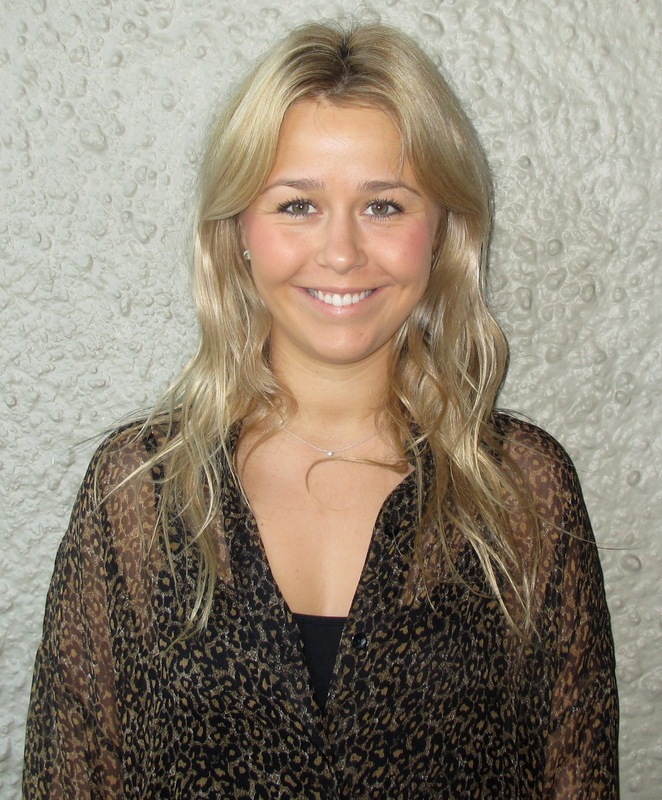 The Account Co-ordinator on the team is Sophie Richards, a bright, bubbly, and very switched-on young advertiser. Only having joined JWT straight from university 2 months ago, I thought I would ask her how she has found the experience so far. I was fortunate enough to hear about the job through a friend, whose sister is an account director at JWT. I was slightly hesitant to apply for the job, as I assumed without a great deal of experience, I was not necessary a worthy candidate. However, after a few rounds of interviews, I was offered the position of account co-ordinator, which is the position I have held for the past two months. Absolutely fantastic. Not to say it hasn’t been challenging, time-consuming and intimidating because it has been at times. But I’m still in the process of learning how the industry works, how JWT works, so that is to be expected. I have been fortunate enough to be allocated a mentor, Alana, who has been so incredibly patient and has taught me a huge amount, simply by letting me watch and observe how she works. Without her, I think I would have found the experience much more difficult and wouldn’t have progressed as quickly as I have. To be honest, leaving university I wasn’t quite sure what to expect from ‘real life work’ so I didn’t have any preconceived ideas to compare my experience to. I must say though that I wasn’t expecting there to be such a standardized process of how things are done – client brief in, creative brief drawn up, creative brief approved, etc. It’s quite a strict, rigid progress, but without it there would be a multitude of errors and I expect a great deal of miscommunication. Personally, I find the process and timings the most difficult aspect to learn, but one that I expect I will understand through time. Describe a day in the life of an advertising account co-ordinator. I arrive at work around 8:30am to read over any emails I may have missed the evening before. I always find it easier at this stage to write down all the jobs I expect to work on that day, and have the pad of paper near me for reference. As advertising is a particularly dynamic industry, there is a continuous amount of work flowing through the agency, some of which isn’t expected/accounted for. Having a notepad near me at all times allows me to keep on top of this, as it’s easy to forget small jobs when juggling work. Also in the morning, I send out a ‘daily update’ to our clients, providing a brief status of the jobs on that day and the next steps that need to be taken. Throughout the day, I do a range of things from assisting others on larger jobs, managing smaller jobs and briefing them in and out of studio, researching competitors, organising meetings, etc. Essentially, my role requires that I assist in the general operation of each account team I work for, helping ensure consistent communication occurs with our clients. My day normally concludes between 5:30/6. It’s a long day – but it goes quickly! What is the best thing so far about working in advertising? Watching the work I do materialise and working alongside passionate and fun people in a relaxed atmosphere. What is the worst thing so far about working in advertising? So far, I actually don’t have any complaints. I do find multi-tasking between clients difficult, as is being the ‘middle-man’ between your client and the rest of your agency. But, these elements are part of my job description, so I wouldn’t label them as ‘bad’ – just challenging. What is JWT like to work for as a company? JWT has an incredibly rich and unique history, and it is something I’m very proud to associate myself with. Although JWT is a very established agency, it has the feel of a modern one, as it continues to grow and evolve. There’s a great amount of energy and buzz at work, with people truly dedicated to their work, and again, it’s something I feel lucky to be a part of. Did you want to be in advertising when you were growing up? Not necessarily. Marketing was always a passion of mine, but I never expected to work in an advertising agency, even when I was at university. I had always hoped to work in the marketing department of a large multinational business. Working at JWT allows me to do this – but instead of one, I get to work across two different multinational businesses! I studied Business at UTS, Sydney, where I majored in marketing and international business. Although I always knew I would study marketing, I momentarily dabbled in economics but quickly withdrew from that, not knowing what else I was particularly interested in. During this time, the global financial crisis was crippling the world, and many major markets were tumbling one right after another. International business seemed to me the most relevant and useful subject to learn in light of the GFC, whilst also a way I could further my understanding of international marketing practices. Do you think your degree has helped so far in your advertising career? Most definitely. The degree spans over three years, with the first year dedicated to giving students a taste of all different facets of a business (from finance to marketing, HR to economics). This I think gives you a solid understanding of the business world in general, whilst also allowing students to make a more informed decision about what avenue to pursue in the second and third years. My degree had a good mix of theoretical and practical components, with an emphasis on real-world case studies and group work, which I found the most useful. With only two months up my sleeve, it’s hard to know! Hopefully in years to come I’ll have worked across various clients, exposing me to a range of product categories, so I will have a better idea of where my strengths lie. But, as long as I’m working in an environment where I feel valued and I believe I add value, I’ll be happy. What is your advice for young graduates looking to get into advertising? Know someone who is already in advertising! Can I get you number Sofie?